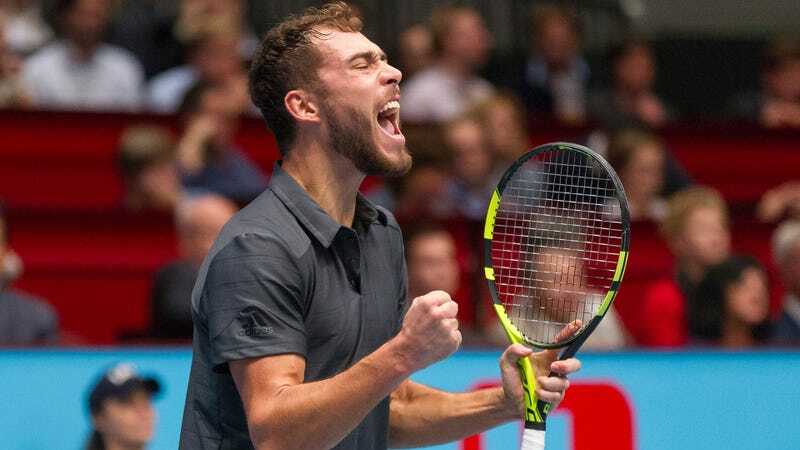 Jerzy Janowicz isn’t the most famous tennis player on the circuit, but if you’re a fan of tennis, or even just sport in general, there’s a high chance you may have heard of him. What you might not know is that he’s a massive Counter-Strike player. Janowicz is an accomplished tennis player. He’s low in the rankings right now (currently 273) but he’s been as high as 14 and made it to the Semi-Finals in Wimbledon in 2013, where he lost in four sets to the eventual winner Andy Murray. Yep, Janowicz has a propensity for epic meltdowns. Outside of tennis, Janowicz is actually a pretty serious Counter-Strike player, to the point where he has his own Twitch channel with 50,000 subscribers. He last played — believe it or not — in Australia. He’s had a rough time at the tournament, dropping an intitial two set lead to number 7 seeded Marin Cilic, but he still found time to play. As you might expect Janowicz’s meltdowns translate to Counter-Strike. Like this, when he gave his mouse a beatdown.